The team from St. Augustine’s fed over 200 men, women, and children at Faith Mission on Saturday. This mission is at the start and the heart of our parish. 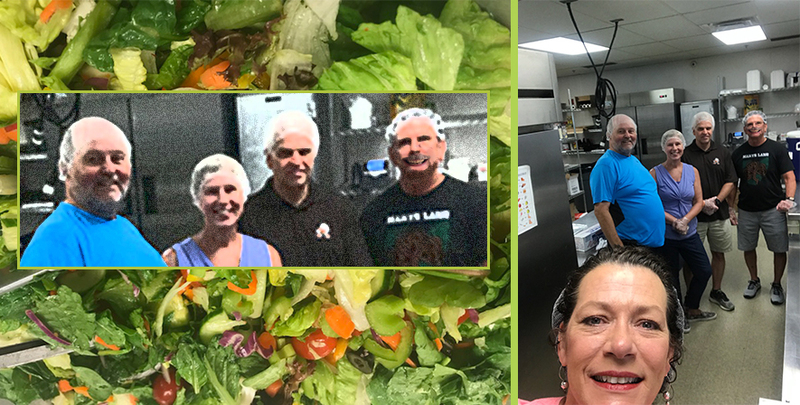 Thanks to all who sliced, diced, baked, and served, and to our leader, St. Ann, and her husband, Curt (the one with the big smile on the right, thanks to Photoshop!). If you have not participated, sign up for the next quarter’s visit. You will bless others and receive a blessing, too.